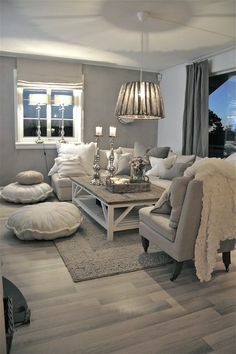 Working on the principle that your interior design does not need to be a static concept, you can introduce a variety of looks matched with the seasons as they come along. But simply having the desire to redecorate is not enough- homeowners should have a plan in place for what looks they wish to attain, and more importantly, when they wish to put them in to effect. Matching your looks to the season is a wonderful way to switch things up by matching interior design to the predominant themes of the time of year, and using post-holiday cleanup as a benchmark for scheduling change is a simple way to stay organized. With the tree down and Santa’s village back in storage, your living room might well feel a bit awkward with all of the temporary color stripped away. The eye became trained to the warm glow of rich reds and greens, with seemingly every space draped in holiday cheer. Take this chance to re-focus your central theme, identifying pieces of furniture you may wish to be elevated to a central position, such as a wing backed chair or corner table. The seasonal change does not need to be all encompassing, but simply a chance to play around with design concepts. Try moving elements of the room around to create a new path for foot traffic, with seating areas shifted from direct sunlight to overhead artificial lighting. The light of late winter drapes differently no matter the tone of the sky, and your room can take on a warmer glow by simply adjusting how it ‘sits.’ Late winter means spring is around the corner, so play with your surface spaces by introducing yellows and light blues to capture the sense of new growth. Floral displays, bird’s nests, and other natural items breathe fresh life into a room while winter slowly fades away. You may not have decorated your home ala Christmas in celebration of Memorial Day, but the long weekend can be a blessing for marking the beginning of summer and an opportunity for a fresh look. Your spring designs can now give way to cooler tones, and you can insert more summery themes into your overall color scheme. Try a splash of whimsy with beach shells and summer camp crafts, displaying photographs of days at the beach or at the lake. As with any seasonal change, look toward your furniture and light sources to determine the best use of illumination to capture the feel of the season. Spring light is clear and direct, so moving reading areas away from direct sunlight to overhead lighting will save your eyes and make the pieces more appealing for quiet reflection and relaxation. You can also adjust the wattage of your overhead and table top lamps by decreasing their intensity to play with illumination. Marking the passing of summer into autumn, Labor Day is a great time to reintroduce the warm browns and deep, forest greens that inspire the season. Light hearted summer colors can be moved elsewhere, with thick brown and black frames for art and photographs replacing them. Fresh floral displays can give way to the muted yellows and oranges that create striking areas of color for the eye to land upon, melding seamlessly with the darker tones found in your furniture. Just as with any seasonal chance, look to adjust the wattage of your artificial lighting by changing out bulbs. Shorter days means more need for interior illumination, so choose brighter bulbs to work in conjunction with their purpose. Table lamps that light up surface displays should be a bit warmer, and overhead lights should be stronger to prevent trip hazards for foot traffic. It is by no means a requirement for a solid interior design to be so flexible as to be changed with every season. But having the opportunity can keep your overall theme fresh without completely revamping it every few months. A little color shift, in conjunction with the time of year, will increase the enjoyment of your space and keep you creative as the seasons change. How can you enhance the interior décor of your living room?